Relax during your stay in our luxury spa situated on the second floor of the Grand Mark Prague. Steam bath, sauna, massages and a spacious Jacuzzi are the ideal combination to escape from the big city rush. All to be found in our modern fitness space newly created by award winning architect Paul Woods. The Grand Mark Prague exclusively uses Elemis cosmetic products and clients have the opportunity to buy a selection of Elemis products. Gift vouchers for massages and happy hour offers are available to purchase. 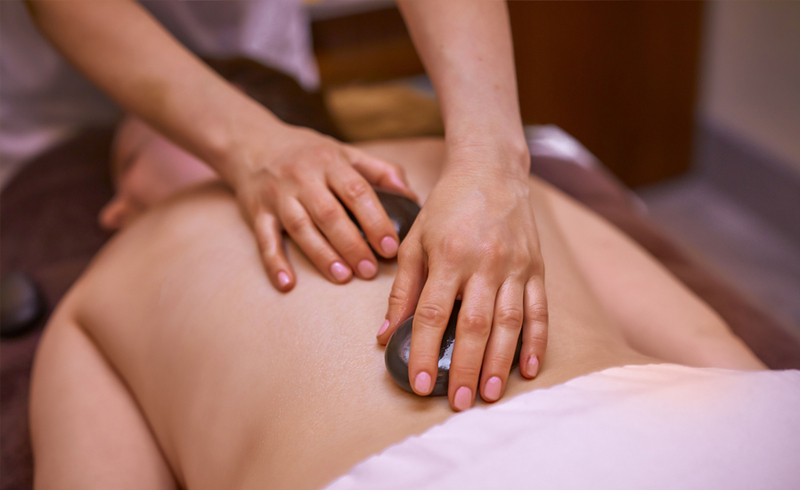 Discover our wide range of massage and procedure here. Massages from 9AM till 9PM. SPA is open 9AM till 10PM. For access must be contact the hotel concierge. Access possible over 12 years of age. From 10PM till 12AM possibility to privately rent the wellness area. Whether you are getting ready for a special event or merely seeking to indulge in a luxurious beauty treatment, The Grand Mark Prague has the answer. Enjoy the great feeling of complex care that will make you want to re-discover the beauty of Prague. Our concierge will arrange for your booking of cosmetic treatments, manicures, pedicures and professional make-up. Open to all hotel guests 24 hours per day. Our team of personal trainers will be happy to prepare an private exercise lesson exactly to your needs. Reservation must be made in advanced. For further information or massage reservation please contact the hotel concierge on .+420 226 226 126 or email concierge@grandmark.cz.